Looking for my Grow Your Blog Post? It's here, or just scroll down to the next post. 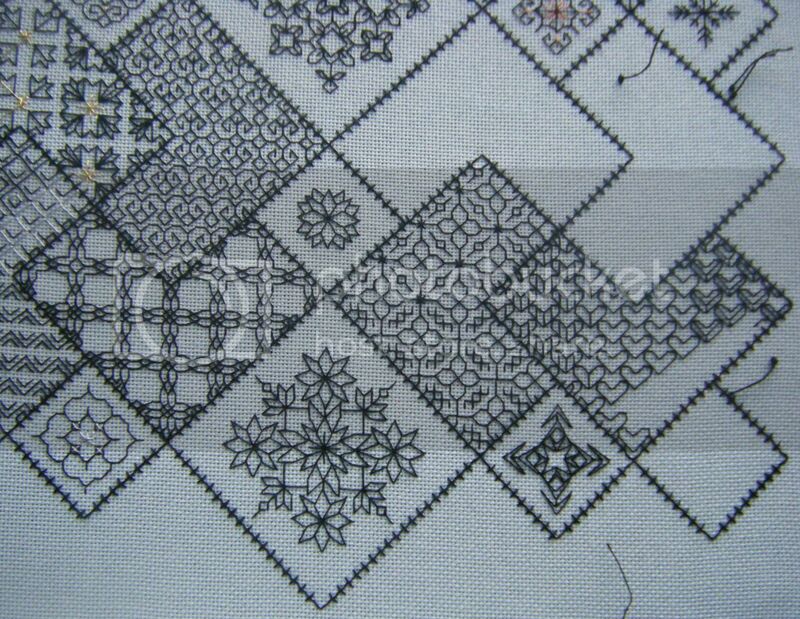 I can't believe it, but another 3 weeks has passed since I last updated you on my Save The Stitches blackwork sampler designed by Elizabeth Almond of Blackwork Journey. I haven't made as much progress as last time, but I'm still chugging away. I finished block 18 (the two squares on the left), and have made a start on block 19 (the four squares plus the little one on the right). Block 20 (the bottom row) is nearly done. When I've finished this section, I've only got one more set of 4 blocks to go! It's a good job too as I did enter this into the Uttoxeter Quilt and Stitch Village show, so it needs to be finished and framed by April! This is gorgeous! Such patience to make this! And it is stunning the black against the white in the stitches! Oh my goodness, that is a work of art…so beautiful. It's looking great! Oohh, I can't wait to see it framed. It's going to do so well at the Quilt and Stitch show! Finished and framed by April? Yikes! Good luck! Oh lovely piece of fine work there. 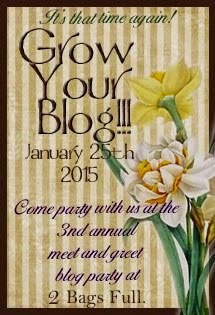 Hello...I'm Sandra, one of Vicki's helpers...thanks for being a GYBP 2015 blogger; enjoy the party! I've been watching your progress on the black work. Just beautiful! This is so beautiful, great project and wonderfully stitched.